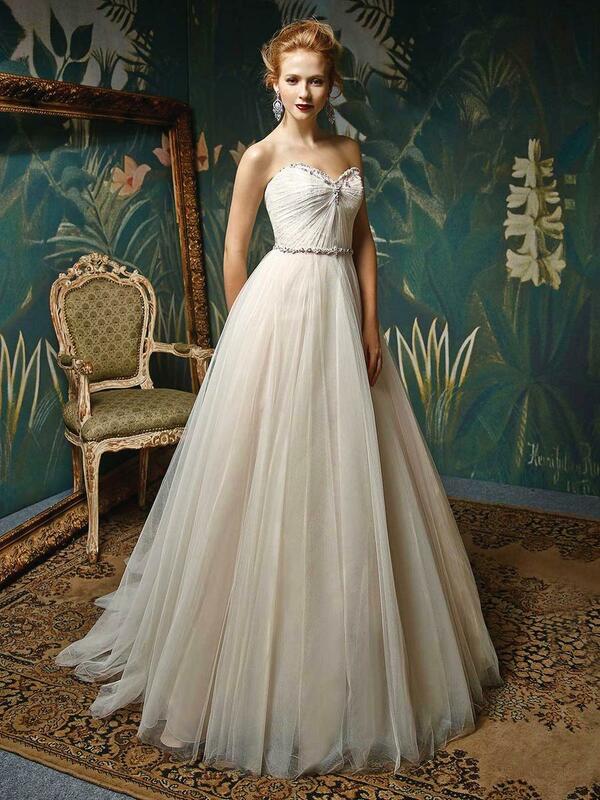 A princess gown for the sweetest real-life fairytale. This full A-line gown features a romantic strapless sweetheart neckline embellished with delicate, sparkling beading and stones. 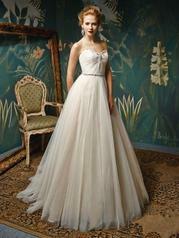 A modern ruched, embroidered lace and tulle bodice is balanced with a classic beaded belt accentuating the waist. The voluminous tulle skirt provides the dreamiest look, which is finished with an invisible back zipper.